The Revolutionary War, was developing for along time. Long story short, England sent people over to the new world (America) to establish a settlement. The people landed in Chesapeake Bay, Maryland. Native Americans were already there, so they had some troubles with them, but that's not the only troubles they had. They dealt with heat, cold winters, lack of food, and disease. So after the colonies dealt with the struggles for a long time, things finally got started and going. 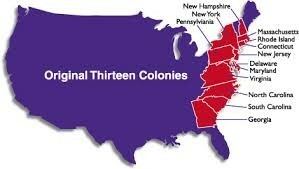 In the end, they ended up making 13 colonies. The colonies had to trade with only England, and get their resources from England. So the charge for exports was more than the cost of import. So England was called the Mother Country, so they got the benefits. Finally the Colonist had enough, so they wanted to break free, but little did they know, it would be a long fight, with many difficult steps. Many people know about the Revolutionary War, but they don't really know what led up to it. Many of the events created a domino effect, like the Quartering Acts, Sugar Acts, Stamp Acts, which led to the sons of Liberty being formed, then the Townshend Acts happened. 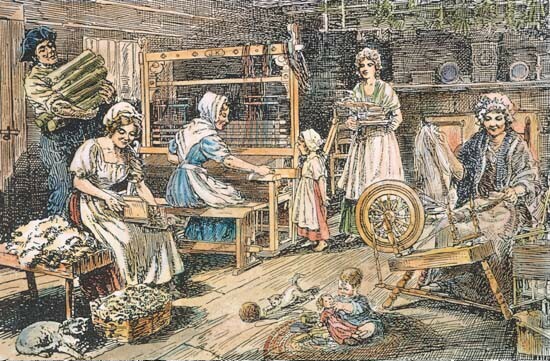 The Townshend Acts led to the Daughters of Liberty being formed. Then the Boston Massacre, which made the Colonists furious, so they did the Boston Tea Party. 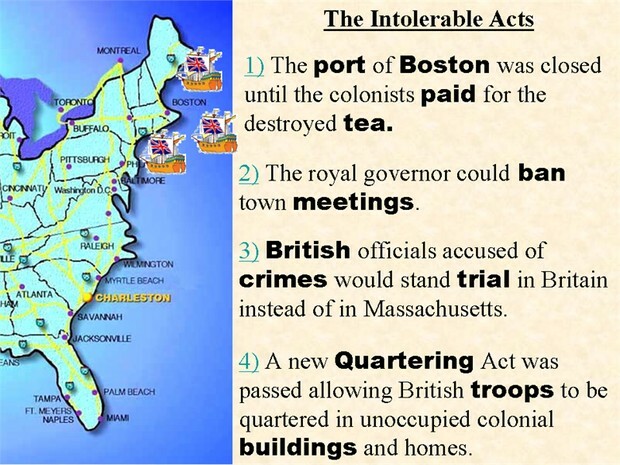 The British couldn't believe that the colonist would do the Boston Tea Party, so the colonists got punished with the Intolerable Acts. 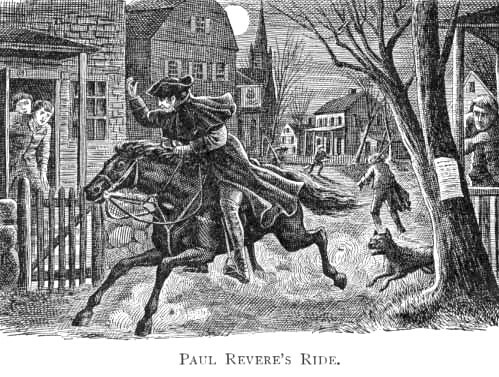 After the Intolerable Acts, Paul Revere took the Midnight Ride, which finally led to the beginning of the Revolutionary War, which was the battle of Lexington and Concord. Who fought for the colonies? The British were pushing the colonist around a lot, and the colonies were finally done. 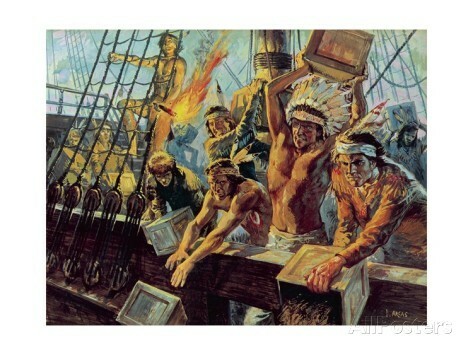 A group of 9 men started a group called the Loyal Nine, which later transformed into the Sons Of Liberty. The group expanded rapidly. The Sons of Liberty wanted to protest the Stamp Act. According to American History, by McDougal Littell, Page 158, the Sons of Liberty's quote was "No taxation without representation!". The Sons of Liberty had meetings under the Liberty Tree. One of their first movements was of August 14, 1765. 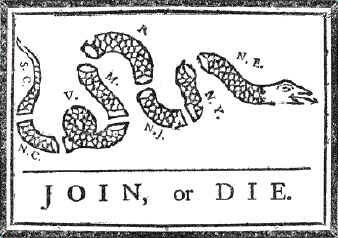 The movement was in response to the Stamp Act. Andrew Oliver, was one of the most obvious leaders, so of course the Sons of LIberty went after him. The Sons of Liberty made a effigy, (which is a model/ dummy of a person.) and then hung the effigy on the Liberty tree. A large crowd soon formed, and they supported the Sons of Liberty, so they decided to take the effigy down. They then stomped on it, beheaded it, burned it, and then paraded it through the streets. The crowd went to Olivers house, broke down the fence, broke the windows, broke funirtue, and then looted his house. Oliver then resigned on August 17. On December 17, the colonists made him publicly swear on an oath, that he would not be a stamp master ever again. Long story short, tax was raised on many things like glass, paints, paper and tea. These items were very important to the colonies. What did the Townshend Acts cause? Crispus Attucks was a slave in Framingham, Massachusetts. (1723). His mother was Native American, and his father was African American. Attucks ran away from slavery, and he ended up in Boston on March 5, 1770. 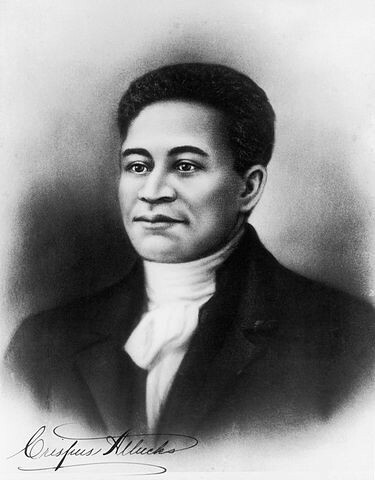 When he arrived there was a group that was protesting against the British, so Attucks joined them. They started to insult the British soldiers, then they started throwing snowballs. As the commotion grew, so did the crowd. The soldiers got scared for their safety, so shots were fired. Four people were killed, and one of those people were Attucks. The colonists thought of those people as heroes fighting for their freedom. 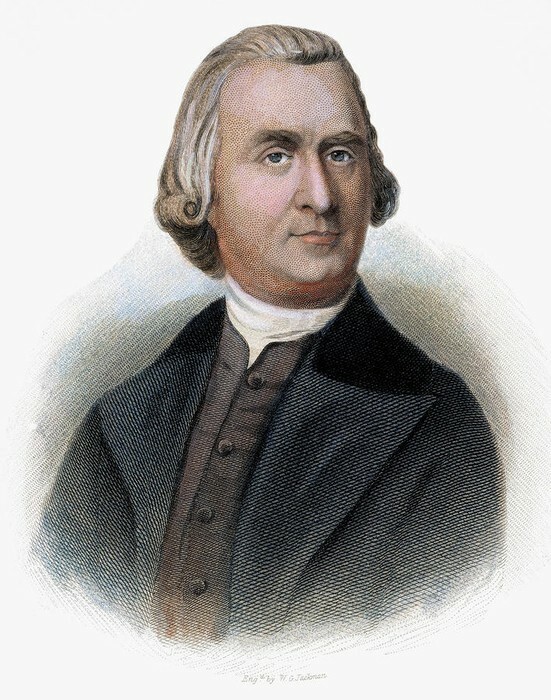 The British troops were soon arrested, and Sam Adams was their lawyers. This inspired people to stand up for their freedom. The Townshend Acts were reversed by the Parliament in April 1770. The British income was hurt. Parliament kept the tax that was from the tea, so it showed that they still had the right to tax tea. The colonists were furious, so they drank stolen tea from Holland; therefore the tea sat in the ports and rotted. The Parliament passed the Tea Act in 1773. The Tea Act gave one company (other than the British) permission to sell tea. This prevented colonist to be merchants and shippers. Protesting started. In Charlestown, South Dakota, colonist unloaded tea, and then let it rot in the docs. In New York and Philadelphia, colonist blocked port entrances, so no boats could dock. Finally, in Boston, the Sons of Liberty organized the Boston Tea Party. Closing the port, so they had to pay for the damaged tea. They told the Massachusetts character to ban town meetings. In Conclusion, the colonies fought hard and long to get their independence from Britain. People like the Sons and Daughters of LIberty, Militia and the minutemen helped fight. The British also put up a hard fight for the colonies. 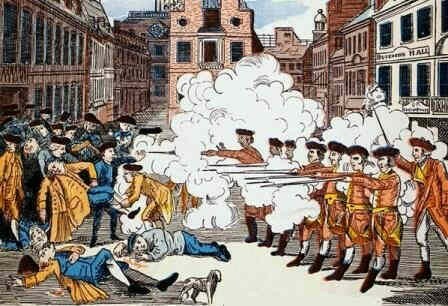 Through the Quartering Acts, Sugar Acts, Stamp Acts, Boston Massacre, the Boston Tea Party, Intolerable Acts, the Midnight Ride, and finally the Lexington and Concord battle. Those events all led to the start of the Revolutionary war. "Battles of Lexington and Concord." History.com. A&E Television Networks, n.d. Web. 9 Oct. 2015. "Lexington and Concord." Ushistory.org. Independence Hall Association, n.d. Web. 9 Oct. 2015. MacLean, Maggie. "History of American Women." Daughters of Liberty. History of American Women, 2 Mar. 2009. Web. 11 Oct. 2015. Muscato, Christophe. "Minutemen in the Revolutionary War: Definition & History." 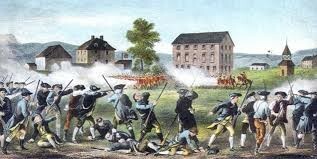 Http://study.com/academy/lesson/minutemen-in-the-revolutionary-war-definition-history.html. N.p., n.d. Web. 9 Oct. 2015. "Sons of Liberty | American History | 1765." Sons of Liberty | American History. Boston Tea Party and Ships Museum, n.d. Web. 09 Oct. 2015. "The Sons of Liberty." Ushistory.org. Independence Hall Association, 4 July 1995. Web. 9 Oct. 2015. "Townshend Acts." History. Ed. Eric Foner and John A. Garraty. Houghton Mifflin Harcourt Publishing Company, n.d. Web. 9 Oct. 2015.